In most cases, our stock is replenished within a few days. Blue Ox base plates are easy on your suspension and even easier on the eye, because they are designed with hidden reinforcements. Vehicle specific baseplate is integrated into the individual bumper design of the towed vehicle. Selected Blue Ox base plates have removable tabs that further enhance the aesthetics. When you aren't towing, just remove the tabs to make your base plate virtually invisible to the casual observer. See vehicle specific footnotes below. Important Towability Note: Blue Ox offers the above baseplate for your vehicle, but how that vehicle is equipped (i.e. automatic transmission, 4-wheel drive, etc.) must be considered when determining its towability. Please read the owner's manual and/or consult your dealer for the correct towing procedures for your vehicle. Additional equipment such as a transmission pump or driveshaft disconnect may be required and are sold separately. Failure to comply with these requirements may result in damage to the towed vehicle or personal injury. 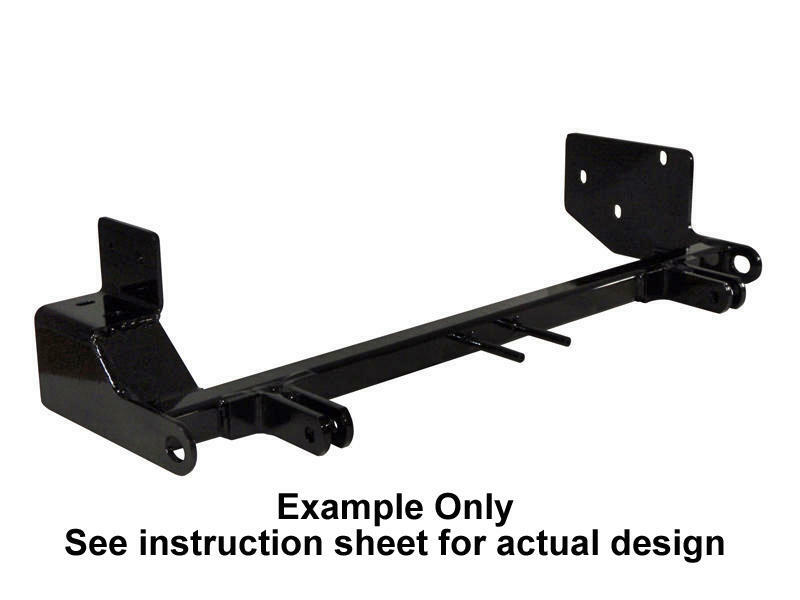 Custom fit base plate specifically designed for your vehicle. Bolts securely to the chassis. Spreads towing force equally without undue stress. Keeps the weight placed on your suspension to a minimum. Today, Blue Ox products account for the vast majority of Automatic Equipment's revenue. However, Automatic Equipment traces its roots to the Automatic Curry and Dipping Machine founded in 1926 by Rollie McQuistan. The successor, Automatic Equipment Manufacturing Co. was started shortly after WW II by Myron Hesse who incorporated the company in November of 1968. During the first six decades of operation, Automatic produced only agricultural products. Those that have been discontinued or sold to other manufacturing companies include Tractor Cabs, Soilmover Scrapers, Mist Blowers, hay handling equipment, batch mixers, boom sprayers, cattle oilers, mineral feeders, livestock trailers, and pick-up mounted 12 volt sprayers. The Roller Mill and Navigator Guidance systems are the only agricultural products that remain. The development of the Kar-Tote, purchased by Jay Hesse in 1984 provided entry into the Recreational Vehicle after-market and the Car Rental industry. The purchases of the Blue Ox line of tow bars and base plates in 1991 and the Duncan line of tow bars and brackets in 1994, coupled with the development of braking systems, trailer hitches, TruCenter steering products, and other accessories have solidified Automatic's position as a leader in the Recreational Vehicle and Towing Industries. All of these products are manufactured in their Pender, NE facility.